Upon the creation of Humanity in the Garden of Eden, through Adam and Eve, God had deemed it as His most prized creation. As a result, the most annointed amongst His Creation. It is the only creation to which He gave the gift of freewill, so that they can have the ability to think, and to chose; while others of God’s Creations do not have that ability. This gift of freewill is what puts Humanity above all of God, the Father of Creation’s (Devum, Jehovah, Yahweh’s) creations. As a result this gift of freewill is what makes Humanity annointed. The ability to chose God and His Divine Laws of Love is what makes humankind even above the angels in God’s Eyes. This is why Satan destroyed the direct link between Humanity and God, through the rebellion that he led by tempting Adam and Eve to rebel against God, in the Garden of Eden. It was Jesus Christ (Yeshua, Yeshuay, Yeshu Christu) His Son, through His earthly life, death on the Cross at Calvary, and resurrection, that this connection was reestablished. He took on the sins of Mankind, by becoming God’s Sacrifical Lamb, at His Alter, for the sake of becoming the “shock absorber” of mankind’s sins. The blood that Jesus Christ shed on the Cross became the shield from the Angel of Eternal Death and Damnation, that has been assigned to all those that have rebelled against God’s Divine Laws of Love, which are ways of Unconditional Love, Mercy, and Nonviolence. It those that have seen the importance of this death on the Cross, and the divinity of Jesus Christ, and have taken on His Life Example, that become the Holy Remanant of God’s Eternal Kingdom, within Humanity. You see, through Jesus Christ’s (Yeshuay’s, Yeshu Christu’s, Yeshua’s) Death on the Cross, we (Humanity) were brought back to the Grace of God, the Father of Creation (Devum, Jehovah, Yahweh). As a result, Humanity was given the chance to make the choice of chosing God’s Divine Laws of Love and the path the Eternal Kingdom, or not,through the free will that God, the Father of Creation had created them with. Those that decide to follow the narrow path of the Divine Laws of Love and to the Eternal Kingdom, are those who God will deem as the HOLY REMANANT. As a result, those that become a part of this holy remanant, will begin to understand why God, the Father of Creation states, that His Ways are not of this world, but are beyond them. Members of the Holy Remanant will begin to see the world around them, the way that God, the Father of Creation sees the ways of this world, with the Guidance of the Holy Spirit. Those that are lukewarm or lost to the Divine Laws of Love, follow the wide path to Destruction and God’s Wrath. This is what Jesus Christ demonstrated through His Earthly Life Example….this is how much God, the Father of Creation loves Humanity, to the point of understanding us, and knowing that we can learn by having an example to follow. Jesus Christ, as His Son, willingly came down from the heavens in the earthly form, to become this example. So, Humanity is annointed by God, the Father of Creation, out of all the things that He created. However, through how Humanity uses their freewill, is what will distinguish the difference between those that are annointed and those that are a part of the Holy Remanant. This is something that I have learned very recently. The Holy Remanant will be those have been deemed by God, the Father of Creation, that faithfully sought His Eternal Paradise, and His Divine Laws of Love. That their faithfullness in seeking the truth of His Ways outweighed anything else that was within their earthly lives. With this faithful seeking, the Holy Spirit, will guide such a soul through the Refiner’s Fire, to refine the sinful human nature that damages the holy soul that was put within each human being, upon their conception in their mother’s wombs. Guarding the soul that God has given us is the most important job that humanity has, whether it be our own, those of our children, parents, siblings, friends, foes, and even the many different strangers we meet in our earthly lives. It is through the refinement of our souls that we become the testimony of God’s Holy Existence amongst Humanity, and on this earth. It is the evidence the proof to Humanity that God still does love us, despite how far we stray away; He just wants us to find our way back to Him, willingly. He does not force it upon us, because He wants to us to discover the greatness that He originally created for us to be, a greatness that exceeds the parameters of this world, and a kinship that is above any of those that exist ever. Jesus Christ defeated our foe, we just have to realize this. He showed us what it takes to become a part of the Holy Remanant. It will require undergoing trials and tribulations. It will require to go against the grain, to travel the narrow path, just as God’s Son, Jesus Christ, (Yeshua, Yeshuay, Yeshu Christu) showed us through His Earthly Life. God gives us the chance to make this choice till our last earthly breaths on this earth. He sees the true intent of the heart and soul, to the inner depths of the intentions of our hearts. He gives sight to those that willingly chose to take the narrow path, with windows into His Divine Wisdom, through the Guidance of the Holy Spirit. Remember, Jesus Christ has said through the Holy Scripture, that the only sin that can not be forgiven is going against the Holy Spirit. This brings me to a question, to which just came to me while writing this….If we are all annointed as Humanity, does this mean that freely…willingly….chosing to rebel against the Divine Laws of Love of God’s Eternal Paradise, Whose Ways are revealed by the Holy Spirit, the sin that God is not willing to forgive? I have to pray about this, and hope God’s gives this answer…. This entry was posted in Thoughts and tagged Annointed, Conditional Love professed by evil, Divine Laws of Love, Divinity of Jesus Christ, Eternal Kingdom, Eternal Paradise, Evil's Temptation, Evil's ways are temporary, Evil's Wrath is Temporary, Fight over souls (good vs. evil), God's Call, God's Divine Laws of Love, God's Eternal Love, God's ways are permanent, God's Wrath, Good vs. Evil, Holy Remanant, Holy Spirit, Holy Spirit Guidance, Jesus Christ the Ultimate Symbol of Unconditonal Love, Jesus Christ's Blood Covering of Protection, Jesus Christ's Crucifixion, Jesus Christ's Trials, Leading of the Holy Spirit, Refiner's Fire, Self Refinement, Spiritual Battles, Spiritual Discernment, Spiritual Journey, Take up your Cross, TRUTH, Unconditional Love=Divine Source on November 15, 2018 by foodforthespiritualsoul. God states that His Ways do not conform to the ways of this world, but are beyond them. He sees what the human eyes can not see, what the human ears can not hear, what the human senses can not sense or feel. He sees the innermost intentions and purity of the heart and soul, and that is what He considers pleasing or not in His Eyes. God works beyond the earthly realm because He states that His Ways do not conform to the earthly. Whatever the earth classifies as that which should be admired, or envied, or even idolized on this earth, may be considered as last in God’s Eyes in the Divine Eternal Kingdom; while that which is considered first in God, the Father of Creation’s Eyes within the Divine Eternal Kingdom, will be considered as last or disregarded altogether, as valuable, in the earthly kingdom. This only supports the earthly life and death to which God, the Father of Creation (Devum, Jehovah, Yahweh) gave His Son, Jesus Christ (Yeshua, Yeshu Christu, Yeshuay) gave His Own Son, while He roamed this earth. Though being the Kings of all Kings, and a Member of the Most High Court, in the Eternal Kingdom of God, the Father of Creation….He showed us, that even His Son will not conform to the world’s ways, because that is how beneath Him, or how far away the ways of this world are from the ways of the Divine Eternal Kingdom. Those that have been given the testimony have all realized this. Those that uphold the wisdom that was revealed to them through their testimony will begin to see the world, the way that God, the Father of Creation (Devum, Jehovah, Yahweh) see the ways of this world, through the guidance of the Holy Spirit. The human senses can easily deceive a soul, because it relies on the human senses, which Satan and demonic spirits were given jurisdiction over to manipulate for its purpose. This is why God, the Father of Creation states the He and His Ways should be first and foremost. That those that seek His Kingdom faithfully will have His Guidance through the Holy Spirit. Those of us that have been given the testimony, had this piece of wisdom not only revealed to us, but also witnessed by us, through the victory in the testimony that we were given. We are given the wisdom that we must turn away from our sinful ways, that were made so alluring by Satan and his demons. We must always consult God and the Holy Spirit as to the beauty which is of the Eternal Kingdom, and that which is not. We must never rely on the spirit of the flesh, it is what Satan and demons have dominion over. The conviction of our wrongs and to change from them is the connection that Humanity has with God, the Father of Creation, through which Jesus Christ reestablished through His Death on the Cross at Calvary; to which Satan initially destroyed in the Garden of Eden with Adam and Eve. It is up to us to chose with our FREEWILL to chose to turn away from them and resist the sinful human nature through which looks so EASY, BEAUTIFUL, PLEASUREABLE, and even SELF REWARDING. Jesus, full of the Holy Spirit, left the Jordan and was led by the Spirit into the wilderness, 2 where for forty days he was tempted[a] by the devil. He ate nothing during those days, and at the end of them he was hungry. Our temptations to lead astray from God, the Father’s Eternal Kingdom will continue until our last breaths on this earth. We must understand this. If Christ, as His Son was not exempt, that who are we so flawed, in comparison to His Perfection, to think that we will be exempt from the earthly trials to break us away from our sinful human nature? This entry was posted in Thoughts and tagged Adam & Eve, Christianity, Conditional Love professed by evil, Devum, Discern the Deception, discern the deception of evil, Eternal Kingdom, evil ways are temporary, Evil's Temptation, Faith, Fight over souls (good vs. evil), God's Divine Laws of Love, God's Eternal Love, God's Wrath, Good vs. Evil, Holy Spirit, Holy Spirit Guidance, Humanity, Jehovah, Jesus Christ the Ultimate Symbol of Unconditonal Love, Jesus Christ's Crucifixion, Jesus' Resurrection, Leading of the Holy Spirit, Love's Power, Narrow path, Sinful Human Nature, Spirituality, TRUTH, Unconditional Love professed by divinity, Wide path, Yahweh, Yeshu Christu, Yeshua, Yeshuay on November 13, 2018 by foodforthespiritualsoul. As humanity focuses on what they see, hear, smell, taste, and touch, we often forget that there are supernatural forces that influence even all these things, behind the scenes. When Jesus Christ walked on this earth, He revealed to Humanity how this occurs. He also showed us, how to walk the path back to the Eternal Kingdom to which God, the Father of Creation, to where He awaits for our return back to Him. The greatest distraction and deception that Satan and minions have brought to God’s most prized creation, Humanity, is to focus on the earthly things, and to ignore what is spiritual. Once humanity forgets about the spiritual, we become vulnerable to the supernatural spiritual world that does exist. This is the tactics of evil. Often this kingdom conducts its activities in the darkness, with deception and even in mannerisms that cause confusion. It’s ways are selfish, self serving, and animalistic, though as human beings we were created with our freewill to behave in mannerisms above that which is demonstrated by the animal kingdom. Evil’s deception is to regress Humanity from the original greatness that God, created for it to be. It is a world of darkness. God, the Father of Creation’s Kingdom, is a world of light. It is world of certainty, and its ways are straightforward, selfless and looks to the overall good of others. This was demonstrated through the earthly life and death of His Son, Jesus Christ. God, has rewarded His Faithful Servants with a protection that can only be described in the earthly sense as “supernatural”, in that it can not be explained by earthly human logic; with a soul that is so beautiful that it can not be explained, but only felt; and even with a presence that is warm that it can not be shown by no one else but someone that is bound to the path to the Eternal Kingdom. This supernatural spirituality is undeniable even to those that are bound to the path of the kingdom of darkness. This is why it is so important for humanity to be aware of the original greatness that God, the Father had originally created for us to be; in order to understand our inheritance. We must actively seek, and actively find the tools that are given to humanity in order to fight against what evil never wants us to find…..our entrance into the throne room. Those that actively seek the Eternal Kingdom and its ways have experienced this supernatural protection, that comes with the relationship with God, the Father of Creation; and this is first obtained through the TESTIMONY given to each individual that was called to the path, once they faithfully sought. This testimony is where God first revealed the spiritual warfare that is occuring in the spiritual realm over the souls of humanity, to that individual. And when this is revealed it is the duty of that person to fight against it because Satan and his demons will try to steal this piece of wisdom away from you. So, with our faithful seeking of God, and His Eternal Kingdom, God provides His Supernatural Protection, through the Blood Covering that Jesus Christ shed, on the Cross at Calvary. Jesus Christ, became the Ultimate Sacrificial Lamb, that was a the only worthy offering before the great alter in God’s Eternal Kingdom, where His Son’s Blood became the Shield over those that that have understood what His Love for Humanity, and the reason why Jesus Christ had to die on the Cross. This blood covering became the shield of protection from evil’s eternal damnation, it reveals to such souls the ways of God, Eternal Kingdom through the Divine Laws of Love, which are ways of Nonviolence, Mercy, and Uncondtional Love. It is devoid of violence, but yet shows the strength of a warrior, just as our Chief Commander, Jesus Christ. It shows a certainty of the spirit, and discerns the deception to which evil tries to constantly throw at them. This supernatural spirituality does not confine itself to the parameters of earthly boundaries. It sees what is beyond the human senses. Such a soul that is bound by this supernatural spirituality, knows that God, the Father has provided the ultimate shield of protection through the blood shed by His Son, Jesus Christ. It is not about a religion or a sense of identity through it. It is about understanding the true purpose behind what Jesus Christ did at the Cross. He did not restrict the salvation that He provided through His Earthly Death as the Son of God, to those that are found worthy by earthly parameters. In fact, as Jesus Christ roamed this earth, He sat with those that were considered the outcasts, the sinners, the poorest in the society. He even went as far as to say that those that were “religious” were missing the mark as to what God was trying to tell through the Scriptures. God sees the heart and soul, to which the human heart and eyes can not feel or see. Only He sees who is worthy of the wisdom of His Eternal Kingdom; and sees who is fighting the good fight in the spiritual realm. He knows that we are not perfect, but we are faithful in seeking and finding Him. Such souls that are guided by the supernatural spirituality will be able to heal the most wounded of souls, thaw out the coldest of hearts, and even make Satan and his demons so envious of them, knowing that they are bound to the path to a place that not only they were kicked out of, but are now absolutely forbidden to return to. God, gives ALL of humanity the opportunity to seek the ways of His Eternal Kingdom, till the last breath in their earthly bodies. However, Satan and those within his kingdom, do not want you to know this. As each day goes by, we get one step closer to the end of times. We must actively seek for this supernatural spirituality that God, the Father of Creation, through not only what Jesus Christ showed huanity through His Earthly Life and Death, but through which Jesus Christ Himself told us as the promise that was made to us, as His Brothers and Sisters. This entry was posted in Karma Series and tagged Blood Covering at the Cross, Blood Covering of Jesus Christ, Certainty in the Divine Laws of Love, Conditional Love professed by evil, Conditional Love vs. Unconditional Love, Devum, Discern the Deception, discern the deception of evil, Eternal Kingdom, evil ways are temporary, God's Divine Laws of Love, God's Eternal Kingdom, God's Promise, God's ways are permanent, God's Wrath, Good vs. Evil, Guidance by the Holy Spirit, Jehovah, Jesus and His Crucifixion, Jesus Christ's Blood Covering of Protection, Path to Truth, Spiritual Battles, Spiritual Death vs. Physical Death, Spiritual tools, spiritual weapons, Spirituality, Steadfast Faith, Take up your Cross, Testimony, Trials and Tribulations, Ultimate Symbol of Unconditional Love, Unconditional Love=Divine Source, Yahweh, Yeshu Christu, Yeshua on November 8, 2018 by foodforthespiritualsoul. We have to remember and get refreshed in why Jesus Christ had to come on this Earth, as the Son of God. We have to get refreshed on why He had to walk amongst us, even though He was a Member of the Most High Court, in the Heavenlies. As I say, “A spiritual path is not dictated by Human Logic, but by Divine Logic.” A spiritual journey can only be pursued by the strong spirited, not by the weak. Divine Logic is definately not for the weak, but only for the strong. It is bestowed upon those that decided to walk the path, and decide to go against the grain, based on the Scriptural fact, that Divinity’s Ways do not conform to the ways of this world, but are beyond them. The Creator does not conform to the ways of His Creation, but are beyond them. As we look at the plight of Christians, since the time of Jesus Christ, we see that there was always an attempt to silence those that proclaimed such a way of life, that went against the grain. Even Jesus Christ was persecuted, since the time He was conceived in His Mother’s Womb, until the time He was put to death on the Cross at Calvary. His Disciples were all (with the exception of 1) killed for spreading His Teachings through different parts of the world. When you believe in a Truth, dying for the sake of being able to believe and express it, would be worth it. There are many through out the world, who are dying or have already died to uphold and practice their belief in Jesus Christ. However, even then, the Gospel has not been silenced. God, always allows for His Truth to prevail, despite what the earth may try to do in preventing it be revealed to more people. God gives everyone the chance to hear His Truth, and the choice to choose to hear it and believe in it; but only a few actually hear and see it. Because it may conflict with Human Logic, those that are not convinced to follow a spiritual journey will decide that human logic is more valuable than Divine Logic, and this is what Satan and his demons want Mankind to believe. Following the Divine Laws of Love, requires a strength that is indomitable, without any physical reward. Truth is not dictated by earthly or physical parameters. Truth is what the Creator puts in the heart and soul of His Creation. A soul anchored in Divine Logic will see the things of this world the way that God, the Father of Creation sees them. Souls that are anchored in His Divine Logic will persist to the point of death to the earthly body, to uphold the Divine Truth revealed in His Divine Laws of Love, which are ways of Nonviolence, Unconditional Love, and Mercy. That has no value for the earthly things of this world, and only value in the things to which Jesus Christ professed, and LIVED while He roamed this earth. As the Son of God, He stepped down from His Throne to walk amongst us, to show us that WE were worth fighting for, in God’s Eyes. However, God does not want to force this upon us, but to give us the choice to choose to see how much He loves us, through the FREEWILL that He gave us, human beings. It is through the persistance of God’s People that the Life Example that Jesus Christ, as the Son of God, left us, was still brought into the light for generations after Him to see and hear for themselves. His Truth still persisted centuries after His Earthly Death. This entry was posted in Thoughts and tagged Armor of God, Battling Evil, Certainty in the Divine Laws of Love, Conditional Love professed by evil, Devum, Divinity professes selfless love, enduring trials, Evil professes Self Love, Evil's ways are temporary, Fight over souls (good vs. evil), Fools for the Truth of Jesus Christ, God's Divine Laws of Love, God's ways are permanent, Good vs. Evil, Guidance of the Holy Spirit, Holy Spirit, Holy Spirit Guidance, Jehovah, Jesus and His Crucifixion, Path to Truth, Persecution, Spiritual Battles, Spiritual Journey, Unconditional Love, Unconditional Love professed by divinity, Yahweh, Yeshu Christu, Yeshua, Yeshuay on October 10, 2018 by foodforthespiritualsoul. My Spiritual Mentor and I had a conversation that was a much needed reminder. It is funny how God makes sure that we hear a message that He wants us to hear, as those who choose to follow the Path towards His Kingdom. With the nudgings of the Holy Spirit we are reminded of God’s Divine Laws of Love, and how those of us who are called to the Path are required to take the “narrow path”. The Narrow Path requires us to walk through the fire. It requires us to be in earthly circumstances that are uncomfortable. It wil.l also require for us to be put into the paths of those that will mock us, ridicule us, insult us to the point of even demeaning us, but it does not matter. If it is a God given circumstance, then we are required to go through it. However, asking God for the strength to overcome and bear those crosses. It could be for a moment’s time, or for decades at a time. We, as God’s Children, are required to undergo the Refiner’s Fire, in order to rid ourselves of the sinful human nature, and to return back to the greatness that God created for humanity to be, as His Most Prized Creations. God has given Satan and his evil dominion over this realm. READ THIS AGAIN. Satan was GIVEN authority of the earth by God, the Father of Creation. Satan can not do whatever he wants without God’s Permission. He can not do anything on his own. Just look at the Scriptures. Look at the story of the Prophet Job, and even Jesus Christ’s temptation in the wilderness. We should always be aware that God, the Father of Creation has His Hand over everything that happens to His Creations. So in essence, yes, He does allow for evil to exist, in order to see who will CHOOSE to follow His Divine Laws of Love, and who will not. You see God, the Father, is so pure, He can not stand one bit of rebellion or impurity in His sight. He gives us the opportunity to change until our very last breath on this earth, to make the changes of heart, mind, body, and soul. We are born as sinners. This is the realization that we have to make. As a result, it is more natural for us to rebel against God, and His Divine Laws of Love, rather than to conform to them. It is more natural for us to be evil, than to be good. However, those of us that decide to walk the path towards the Eternal Kingdom, fight the battle everyday, to go against what naturally comes to us, and that is to violate the Divine Laws of Love, for the sake of animalistic survival in a world that was given dominion to evil and its ways. It was done in order to separate the weeds from the crops…..the good out of the evil. But God, loves Humanity so much as to give the opportunity to fix ourselves….to recognize His Love for us….to become convicted of this love, to the point of death of our earthly bodies to show that we believe in His Divine Laws of Love. We must devoid ourselves of all pride. Afterall, this is what made God, the Father of Creation, kick out Lucifer (who later became Satan out of his revenge towards God, the Father of Creation, for doing so) and 1/3 of the army of angels from His Throne Room. Pride, it is the hardest sin to get rid of for some reason. I guess that shows me how prone we are to evil, and its ways. That is how much Satan and his demons have tried to confuse us a Humanity as to what are the ways of God, the Father of Creation, and what ways are not. Nonetheless, Jesus Christ has said, “Seek, and you shall find.” It through faithful seeking, even during moments of trials, that God reads the innermost intentions of the mind, body, and soul of someone, to see if they are worthy to be given the gift of faith, and have worthy enough ground for the Holy Spirit to dwell. These are not things that can be earned….it is whether God, the Father, sees something in us, that is worthy of Him. His Ways do not conform to the ways of this world, therefore, only HE can SEE this; not anyone else. However, we must also know that because Lucifer (who is now Satan) and his fellow fallen ones, were forever kicked out of the Throne Room of God, the Father of Creation, he will stop at nothing in order to keep you out of the Throne, with him. Since Satan is given dominion over the earth, he can control whatever the 5 senses can see, hear, smell, taste, and touch with the human body. That is why God, asks of us as to how strong our faith in Him is. Are we truly willing to take on the the life that our Savior Jesus Christ gave us as an Example to follow, to the point of death to the human body. And for whomever God sees potential in to follow the path to His Eternal Kingdom, He tests…..He refines. We have to give in to the Holy Spirit, and God’s Will. As Christ has taught us in the Lord’s Prayer, we must wholeheartedly believe in the verse, “Thy Kingdom Come….Thy Will Be Done…..On Earth, as it is in Heaven.” It is about living God’s Divine Laws of Love, which are the ways of Heaven, on Earth. This is the Will of God, the Father, and His Kingdom. This is why God, the Father states that many may be called, but few will enter. This is why God, the Father states that pathway is narrow, and few will travel it. The path is not easy, and if it was then more people, if not everyone will travel it. We have to love God, and His Divine Laws of Love that much, to the point of dying for them. This is what Jesus Christ showed us through His Life, and Death on the Cross. Christ was persecuted since the time He was conceived in Mary’s Womb, convicted of a crime that He did not commit, and died the death sentence of a criminal. He lived as a pauper while he roamed around, without a dime to his name, or a home to lay His Head. We must not concern ourselves by those who do ill will to us, but we must put more focus on those things that concern us with the Divine Laws of Love. This was God’s Will of His Earthly Life, as the Son of God. We too, must follow follow God’s Will to the point of no matter what the earthly circumstances may dictate, we have to endure till our last breath. This entry was posted in Thoughts and tagged Armor of God, Battling Evil, Certainty in the Divine Laws of Love, Devum, discernment, Divine Laws of Love, Divinity of Jesus Christ, enduring trials, evil ways are temporary, Faith, Fight over souls (good vs. evil), God's Divine Laws of Love, God's Love, God's ways are permanent, Jehovah, Listen for God's Call, Satan's deception, Self Refinement, Spiritual Battles, Spiritual Journey, Steadfast Faith, Take up your Cross, Trials and Tribulations, Turn the Other Cheek, Unconditional Love, Yahweh, Yeshu Christu, Yeshua, Yeshuay on August 17, 2018 by foodforthespiritualsoul. As we have seen through the many Prophets that walked before us, they did not gain the acceptance of their peers, the times they roamed the earth. In fact, the things that they said, wrote, and even preached, were often things that made them outcasts in society, and often gave them a rather difficult life. However, due to the conviction of the Holy Spirit that made them say and write about things of the Eternal Kingdom of God, their surrounding earthly circumstances (to which Satan can manipulate for his evil purpose) did not stop them from doing so. If we have answered the call to enter the path towards the Eternal Kingdom of God, we must remember this. More importantly it is important to become Prayer Warriors. It is a Spiritual War that we are in as Humanity against Evil. Evil’s agenda is to take us further away from Divinity, to which it was originally created to be. The spiritual warfare that we are in requires us to have spiritual tools that will help us to combat evil, and this is by tapping into our connection with God, the Father of Creation. This was reestablished through the Death and Resurrection of Jesus Christ. That means by covering ourselves with the Blood of Jesus Christ (since He was the Sacrificial Lamb for Humanity to God) and praying we tap into that relationship. This requires a dedication, that will demand us to spend as much time as possible with God, the Father. The closer we get in our paths towards the Eternal Kingdom, we will begin to see the world, the way God, the Father views the world and its ways. God did instruct Humanity that His Ways do not conform to the ways of the world, but are beyond them. 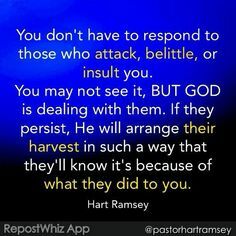 Therefore, as God’s Children, we will face great trial through which Satan and His Demons will throw at us, in order to get us off of the path….to discredit us in front of those that started to listen to God’s Children. Should this stop God’s Children from praying and finding their way back towards the path to the Eternal Kingdom……NO! We should continue marching on, like God’s Soldiers, with Jesus Christ as our Commander in Chief, who guides us through the Holy Spirit, in following the Divine Laws of Love of the Eternal Kingdom. If the life was easy, then everyone would do it. If it was easy, the Jesus Christ would have said that the path is WIDE to enter the gates of Heaven; and only a few do not make it to being the Presence of God and His Throne Room. Instead, He states,” Narrow is the path…” and “to take up your Cross and follow Me….”. Do not get discourage my fellow brothers and sisters. Remember the many Prophets…remember the Life and Death of our Commander in Chief Himself, Jesus Christ! We are called to a “difficult” earthly life. We should only take it as a privilege that we are called to take part in sufferings, to understand that if Christ Jesus, Himself, was not exempt from such earthly trials as He roamed the earth, then who are we to think that we are any better than He, to lead a life free of trials? We must grow stronger in our faith, just like those that walked before us, through Prayer, Fasting, and reading the Word of God. When we grow stronger in our faith, we will begin to see things of this world differently, and we will be able to discern the deception of evil. REMEMBER OUR GOOD BROTHER, THE PROPHET JOB……. This entry was posted in Thoughts and tagged Battling Evil, cup of suffering, Devum, discern the deception of evil, Divine Laws of Love, evil ways are temporary, Fight over souls (good vs. evil), God's Divine Laws of Love, God's Love, God's ways are permanent, Good vs. Evil, Guidance by the Holy Spirit, Guidance of the Life Teachings of Jesus Christ, Jehovah, Jesus and His Crucifixion, Jesus Christ, Listen for God's Call, Longsuffering required, Path to Truth, Persecution, Refiner's Fire, Self Refinement, Spiritual Battles, Take up your Cross, The first will be the last; and the last be the first, Trials and Tribulations, Yahweh, Yeshu Christu, Yeshua, Yeshuay on August 16, 2018 by foodforthespiritualsoul. When it comes to love, it is a language that is understood by all creations living, both great and small. Animals in the wild understand this; nature from the trees to plants that grow in the forests, grasslands, and even the swamplands; as well as human beings understand this. Divinity’s ways are universal. Whether the creature or creation is good or evil; parasitic or symbiotic; or predator or prey, love of an unconditional kind, that is selfless is nature is understood by all. Love of a sacrificial kind is understood by all, it is a universal act, that invokes an universal feeling of healing, happiness, and even love itself, that draws away hate and darkness, and brings in light to a soul. Divinity has a reason or purpose as to why it expresses Itself and Its ways in a universal manner, so that ALL have the opportunity to experience love, in its purest form, and to have a chance to find their way to Divinity’s Eternal Paradise, in the very Throne Room of God, the Father of Creation (Devum, Yahweh, Jehovah), an Eternal Paradise that is filled with Eternal Peace, Unconditional Love, Nonviolence, and Mercy. It is this selfless, unconditional love, that Jesus Christ (Yeshu Christu, Yeshuay, Yeshua) showed humanity on the Cross, at Calvary. It was sacrificial in nature, that even the animals in the wild, demonstrate and understand themselves. The Son of God, walked this earth, in order to show humanity, one final time, what God expects of us, as we roam this earth, in order to become one in the Body of Christ, and enter into the Eternal Throne Room of God, the Father of all Creation. While Jesus Christ (Yeshua, Yeshuay, Yeshu Christu) roamed this earth, as the Son of God, he showed us ways that conformed to the Divine Laws of Love: ways of Nonviolence, Unconditional Love, and Mercy. So coming to the title of this entry. Love is very much “expressed” in this day and age; but many no longer know what it truly means. Many feel that love can be expressed in many ways. This is probably why Jesus Christ (Yeshu Christu, Yeshuay, Yeshua) expressed that we should be in equally yoked relationships. What does it mean to be equally yoked? Well, does anyone remember the story of Samson and Delilah? Samson was a godly man, that was given immense strength, through the length of his hair, to which the God’s Angel had instructed to his mother, upon the time of his conception, in her womb. This immense strength was seen to be a gift from God, the Father of Creation; and Samson was to obey God in not cutting his hair. Samson loved God, with all of his being. But then he fell in love with Delilah, and she had other plans for him….plans to break his devotion and love for God, the Father of Creation. She was a distraction to his service to God, the Father, and in his path towards His Eternal Kingdom. She wanted to bring Samson away from God, and to serve her purpose. Samson loved Delilah, with a pure love, that was dictated by the Divine Laws of Love, and God, the Father of Creation’s (Devum, Yahweh, Jehovah) guidance as to what He dictates Unconditional, Selfless love should be. Delilah loved Samson, in the conditional way, to serve her purpose. So what happened to Samson, out of his love for Delilah, which was pure in nature? Delilah’s purpose was to find out the source of his strength; after being asked by the Phillistines and being given some silver for her efforts in doing so; with several times of insisting of revealing it to her, he gave in out of his love and trust for Delilah, and in his sleep has a servant cut his hair off that very same night. Samson does break his promise to God, and loses his God given strength. Samson immediately realizes his fault in front of God, with the guidance of the Holy Spirit, and pleads with God one final time to forgive him, and to return his strength to him. In his final moments on this earth, he dies while destroying the Temple in Dagon and the people within it. Being unequally yoked will eventually cause the Child of God to be compromised, by being roped into the ways of this world, to which God, the Father of Creation (Devum, Yahweh, Jehovah) has said, that His Ways of the Eternal Paradise, Divine Laws of Love, are not a part of. When God has revealed a window to His Infinite Wisdom to His Eternal Kingdom to someone, that individual to be granted to sight through that window has already been held to a different standard to those that have not. They view the world the way God, the Father of Creation (Devum, Yahweh, Jehovah) views the world. They are given responsibility to uphold His Ways of the Divine Laws of Love, while roaming this earth. He handpicks people, to reveal his knowledge to, those of whom He sees in the inner depths of their hearts and souls, have their eyes towards His Eternal Kingdom, in the privacy of their lives, and how much they yearn for Him. They are not perfect people in His Divine Laws of Love, however, they answer to the urgings and guidance of the Holy Spirit, to cut the ties to the ways of this world, to which they fell prey to, to which they know from the knowledge revealed to them through their testimonies, where He (Devum, Yahweh, Jehovah) says His Ways do not conform to the ways of this world. This is why Christ states that we should not be in unequally yoked relationships, through the example of Samson, and many others. The human heart is easily influenced with the human senses, which can be easily manipulated by evil. Evil wants you to immediately act on what the human senses tell you: while God’s Infinite Wisdom is provided to those who patiently wait for Him to reveal it to them, and ask for His Guidance in their daily lives. There is no “I” in Love. As the title states. We should love ourselves enough to understand that God loves us unconditionally to the point of giving us the chance in our daily lives to just come to Him, to see it for ourselves. God’s ways are universal to the point that it is demonstrated and universally felt. Love is not expressed in multiple ways. Evil would like for humanity to believe this, in order to creep in to cause chaos and confusion into God’s purity, in His Love for humanity. God’s Love is selfless and sacrificial in nature; to give to others, and to put others before themselves. This is what Jesus Christ (Yeshu Christu, Yeshuay, Yeshua) showed us through His Life, and Death on the Cross, at Calvary. This entry was posted in Thoughts and tagged Delilah, Devum, Divine Laws of Love, Divinity of Jesus Christ, Divinity professes selfless love, Earthly Elite vs. God's Elite, Evil professes Self Love, God Endless Mercy, God's Call, God's Divine Laws of Love, God's Wisdom, Guidance of the Holy Spirit, Holy Spirit Guidance, Jehovah, Jesus Christ's Crucifixion, Leading of the Holy Spirit, Listen for God's Call, Mercy, Nonviolence, Sampson, SELF LOVE vs. SELFLESS LOVE, Unconditional Love, Unequally yoked, Yahweh, Yeshu Christu, Yeshua, Yeshuay on December 30, 2017 by foodforthespiritualsoul.